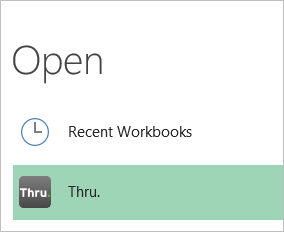 First, open up the Office app you would like to use (Word, Excel or PowerPoint) and go to File > Open. 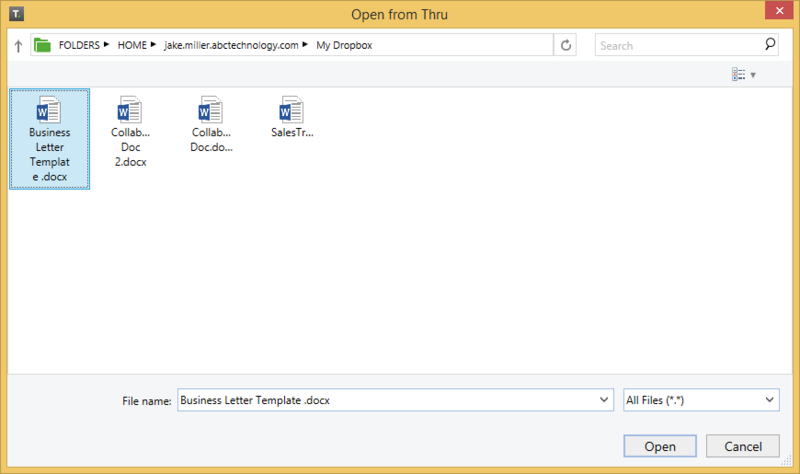 In this example we will open a Thru document from Microsoft Word. 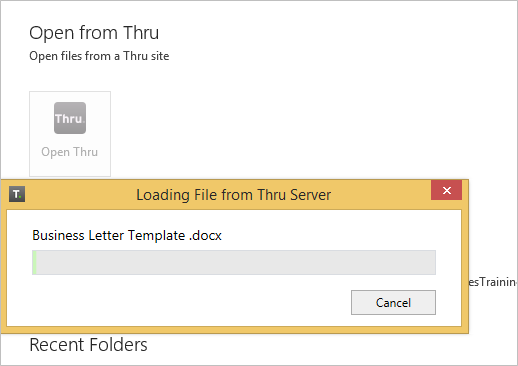 After clicking Open, select the Thru icon to access your files stored in Thru. If you have just installed the add-in or are signed out you will be prompted to sign in to your Thru site. For more info on signing in to Thru, go here. 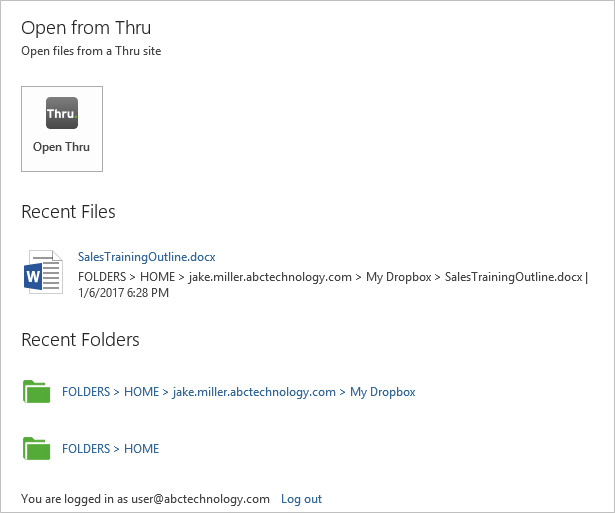 If you have just opened your Office application to open a file from Thru, you will need to select “Open Other Documents/Presentations/Workbooks” at the bottom of the screen and then select File > Open > Thru icon. After clicking the Thru icon, click Open Thru to select a file to open in your Office application. The file browser window will open where you can navigate your Thru file system and choose a file to open. Instead of browsing for files you can also choose to open recent Thru files you have accessed. When you have found the file that you want to open, select it and click Open. The file will load from Thru and then open in your Office application. Once the file is opened in your Office app, you can edit the file and all changes will be saved to Thru.